France and Germany are attempting to knit together another world-beating company to follow in the vapour trails of Airbus, with Alstom and Siemens’s merging of their train operations. It would create a giant with a 60,000 strong workforce, capable of posing a serious challenge to China’s state-owned CRRC Corporation, the market leader. Some critics have accused President Macron of selling off a French crown jewel on the cheap to Germany. 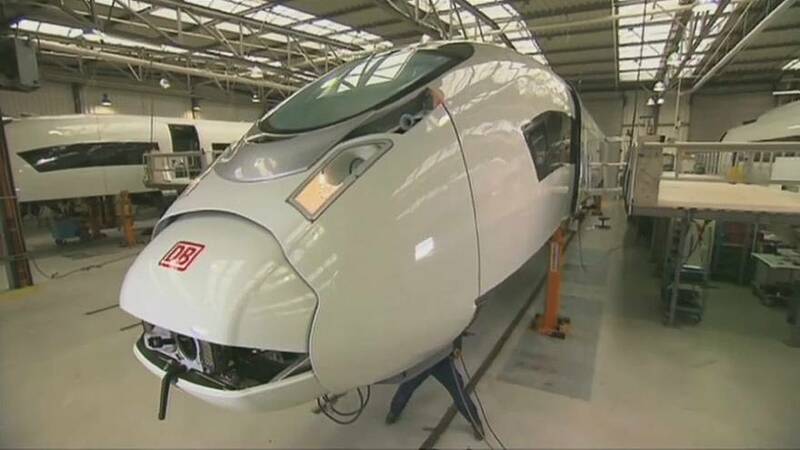 “It’s good news for Alstom, it’s good news for Alstom’s employees and its sites. It’s good news for European industry. With this Alstom-Siemens alliance, we’re going to create the world’s second rail transport and signalling manufacturer,” claimed French Finance minister Bruno Le Maire. Each company will own a 50% stake that Siemens has agreed not to change for at least three years. The French government will sell off its stake in the firm. “So the new company Siemens Alstom will maintain its French and its German roots. As far as the timeline is concerned our goal is to close the transaction by the end of the calendar year 2018,” said Siemens’ boss Joe Kaeser. The headquarters will be in Paris, but trade unions fear the merger will lead to job cuts once the French state’s 20% shareholding is in private hands.